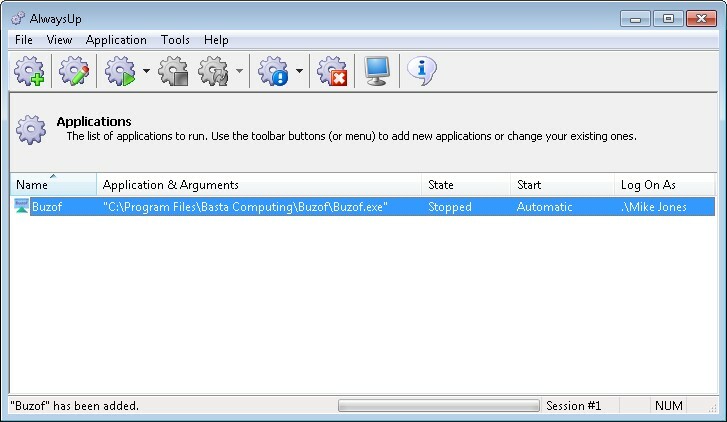 Buzof is a commercial utility that constantly scans your desktop and automatically answers prompts, message boxes and other windows that interrupt the action. Download and install Buzof, if necessary. In the Name field, enter the name that you will call the application in AlwaysUp. We have specified Buzof but you can specify another name if you like. Click over to the LogOn tab and enter the username and password of the account in which you installed and use Buzof. Buzof must run in this account so that it can find its settings. Click the Save >> button. 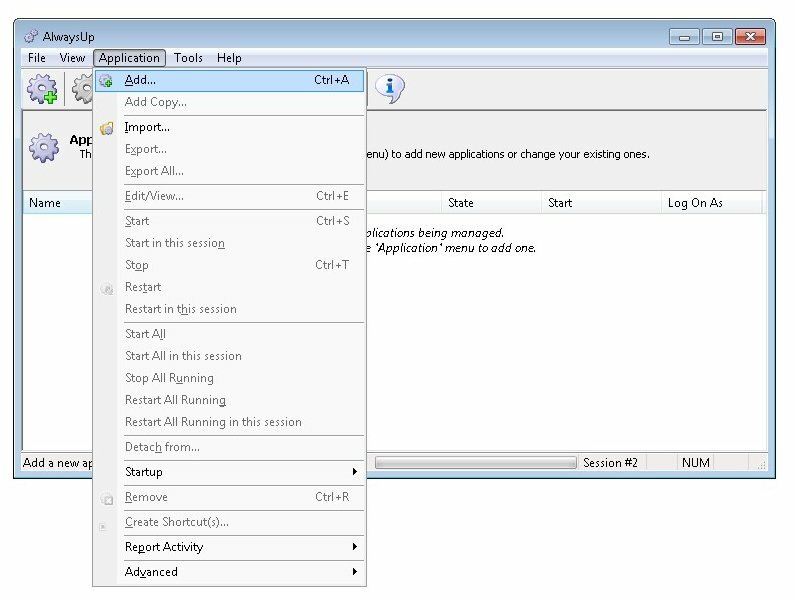 In a couple of seconds, an application called Buzof will show up in the AlwaysUp window. It is not yet running though. 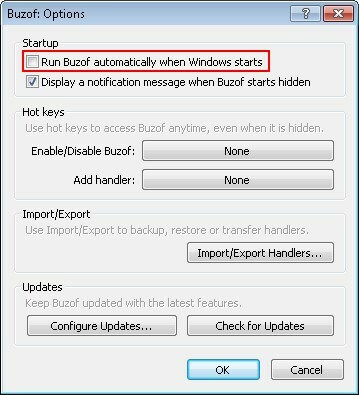 Uncheck the Run Buzof automatically when Windows starts box. Press the Configure Updates... button and select the Do not check for updates automatically option. 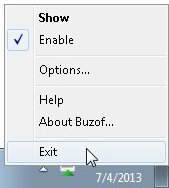 If Buzof is running, stop it now by right-clicking on the tray icon ( ) and choosing Exit. 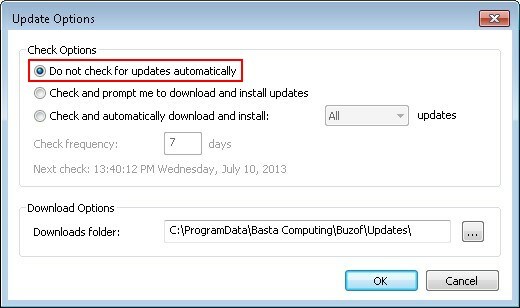 Note that on Windows 8/7/Vista and Server 2012/2008, Buzof will not be visible on your desktop. It will be running in the background on the isolated Session 0. 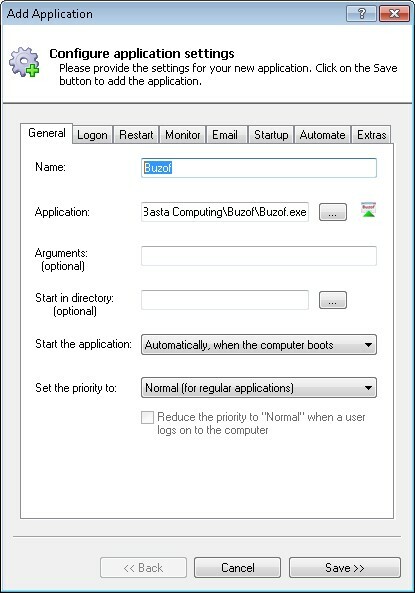 If you wish to start Buzof on your desktop "like normal", select Application > Start "Buzof" in this session. The familiar task tray icon will show up in a few seconds. That's it! Next time your computer boots, Buzof will start up immediately, in Session 0, without anyone needing to log on. Please restart your PC now and test that Buzof works as expected after Windows comes back to life. 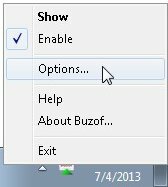 And please feel free to edit Buzof in AlwaysUp to check out the many other settings that may be appropriate for your environment. For example, send email alerts if it stops, boost Buzof's priority, etc. Buzof not working properly as a Windows Service? From AlwaysUp, select Application > Report Activity > Today... to bring up a HTML report detailing the interaction between AlwaysUp and Buzof. The AlwaysUp Event Log Messages page explains the more obscure messages.